We are a team of creative collaborators. 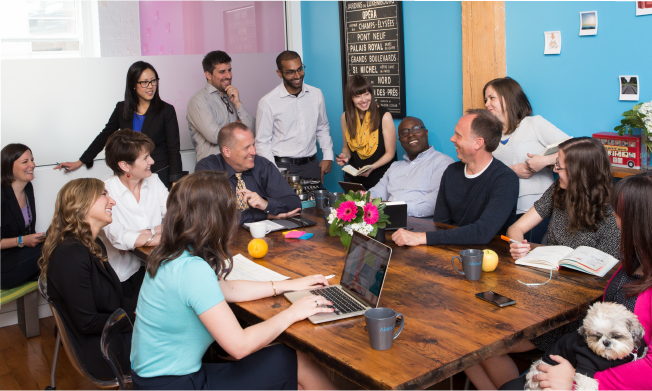 Our offices are filled with a combination of great talent, passion for excellence, and comradery. Interested in joining us? Find our available positions below. People with a strong work ethic and sense of humour tend to be a great fit. Akendi are looking for a UX architect with a passion for turning validated user and customer insights into exciting experience designs. In doing so, you recognise that the best results can only be achieved by a multi-disciplinary team with members from different backgrounds either within or externally to Akendi. Demonstrable team working and excellent client facing skills are essential to this role. Not seeing your position above but would like to introduce yourself? Akendi is an Experience Thinking innovation firm in service experience research and design. We are service design and UX designers consulting for companies and organizations. Located in Cambridge and London, UK.